The Hyundai SANTA FE LIMITED has been a popular choice in the seven passenger SUV marketplace because of its spacious interior with good ergonomics. 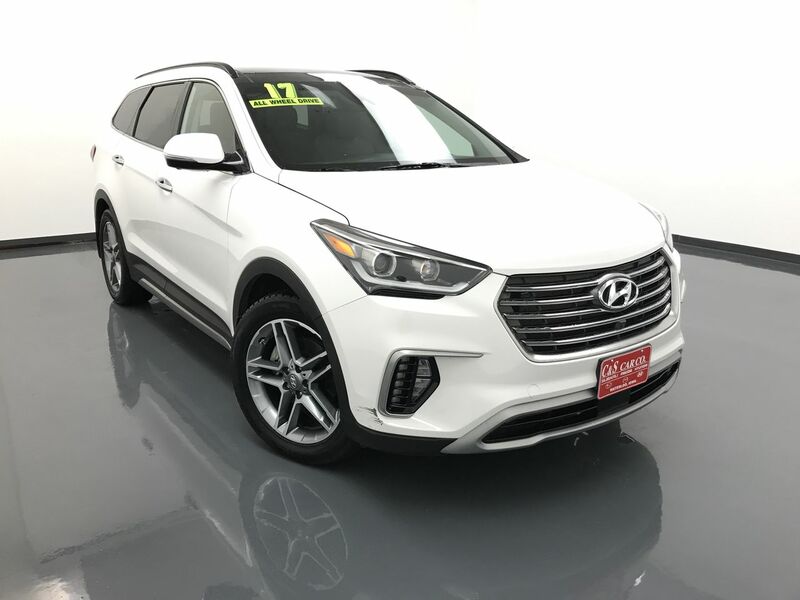 This 2017 SANTA FE LIMITED ULTIMATE AWD has a leather interior with four heated seats, cooled and power assisted front seats, with a 2 person memory for the driver's seating position. There are three climate zones, keyless entry and ignition, a heated steering wheel, a panoramic sunroof, 360% cameras with sensors, a center locking differential, a power rear lift gate, wood grain interior accents, blind-spot detection and lane stay assist, and rear side window sunshades. The Infinity infotainment system has navigation, an AM/FM/CD sound system with XM satellite radio and Bluetooth connectivity. There are 19" alloy wheels with Falken tires. **One Owner** Call C & S Hyundai toll free at 866-212-8718 or locally at 319-291-7321.